Libraries are the other half of education serving the needs of all residents and supporting learning for students of all ages. Check out the Massachusetts Library Association Value of Library Service calculator to see the worth of your library usage. Or visit Geek the Library to further explore the value of your public library. I have now been writing about Longmeadow’s budget problems for about one year (see A Financial Tsunami Is Heading Toward Us (1/16/09). The situation really hasn’t changed since the last time I wrote on this subject… see Tough Times Ahead for Longmeadow- Part III (12/06/10). 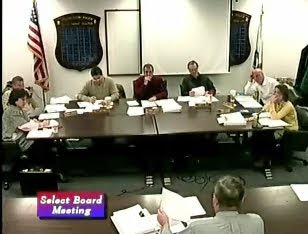 The town is facing a $2.1 million budget deficit for the upcoming FY11 without considering the financial impact of ongoing collective bargaining with the teachers, firefighters, police and other town employee unions. A 1% COLA adjustment for the current FY10 and FY11 years would add an additional $900,000 in additional operational costs (FY10 = $300,000 and FY11 = $600,000). Such a contract settlement would balloon the FY11 deficit to $3 million. There is $0 in our free cash account. There is $1.9 million in the Operational Stabilization Fund (OSF).The SB has recently adopted a policy that stated they will not authorize the use of OSF monies which depletes the fund below $1.0 million unless there is a plan to replenish the fund to that level. A large majority of the town + school budget costs are employee salaries + benefits so a reduction of $2,100,000 in expenditures likely means significant layoffs and/ or furloughs. 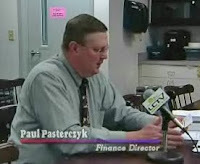 Paul Pasterczyk, Longmeadow’s Finance Director stated at a recent SB meeting (12/07/09) that any employee layoffs would also require the town to pay unemployment compensation/ severance benefits that could total as much as $450-600,000. Achieving a budget reduction of $2,100,000 (~4% of total budget) will not be very easy without seriously affecting the quality of life in Longmeadow. One of the options being seriously considered by some SB members though not voiced during public meetings is the closing of Storrs Library. Closing of the Storrs Library would save an estimated $675,000 but it would be a severe impact to our community given the large number of people who use this important resource on a regular basis. The Town Manager is scheduled to present the proposed FY11 budget (including the School Dept) to the SB on February 26. It will be very interesting to see how the TM manages to balance the budget. From recent SB discussions, it would appear that town employee COLAs will not be included and any potential financial impact will be ignored. At their December 7 meeting the SB asked the School Committee to deliver 70% of the required cuts (~$1.5 million) in their proposed FY11 budget and the Town Depts to provide 30% of the required cuts (or $630,000). They also asked for priorization of the proposed cuts. Here is what I see taking place later this year…. Presentation of a balanced budget (without contract settlements?) at the Annual Town Meeting (ATM) on May 11 with budget cuts significantly affecting both school and town services. It is possible that there also may be a vote on a Proposition 2½ operational budget override to balance the budget. At the ATM there will be a warrant article for a Proposition 2½ debt exclusion override for $44 million to build a new high school. Town elections will be held on June 8 to decide the two separate Proposition 2½ override questions. It should be noted that the last Proposition 2½ (operational) override for $2.1 million in November 2007 passed by only 6 votes. The outcome of these votes will influence the quality of life and services in our town for many years. One thing that concerns me greatly is the lack of interest and/or understanding by many town residents about this current crisis. As I survey residents around town and ask them what they think, many of them are not very familiar with the school building process or the severity of the need to reduce the town budget. It will be too late if town residents wait until the annual town meeting to provide their inputs to town leaders…. the decisions will already have been made. Now is the time to become involved and provide inputs to our town leaders about how to manage the budget!